I've been collecting and testing historic Alaska recipes as part of a book project I'm working on at the Anchorage Museum about how Alaskans eat. 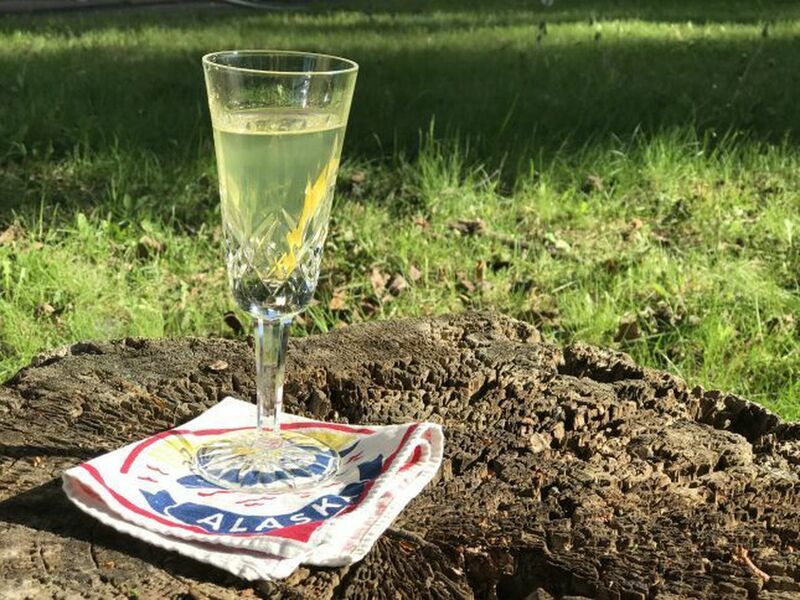 Recently, I have become obsessed with this very delicious pre-Prohibition version of a martini called the Alaska cocktail, which then led me to some very serious gin research. (OK: "research.") Seriously, though, this drink is great. Here's the thing: Like Baked Alaska, it is not representative of our cuisine. It is, instead, named for what it is our state represented in the cultural imagination at that time. (Baked Alaska, developed by a chef in New York, was meant to commemorate the purchase of the state, btw.) The Alaska cocktail is a marvelous take on a martini: stiff, complex, cold and golden as a prospector's dreams. The recipe first appeared in a 1913 book by the bartender Jacques Straub called "Straub's Manual of Mixed Drinks." It also appears in the classic Savoy Cocktail Book (an essential kitchen library item if you like cocktails). It's made with three ingredients: Old Tom gin (a sweeter, less juniper-forward gin), yellow chartreuse and orange bitters. "So far as can be ascertained this delectable potion is NOT the staple diet of the Esquimaux (check THAT spelling!). It was probably first thought of in South Carolina hence its name," Savoy says. BUT, here's the thing, gin-drinking friends: I just made this cocktail with two of our very good local gins — one lovely sweet one from Amalga Distillery in Juneau made with devil's club, Labrador tea and iris root, and another delicious one from Port Chilkoot Distillery in Haines made with juniper, coriander, cinnamon and spruce tips — AND BOTH OF THEM ARE FANTASTIC. 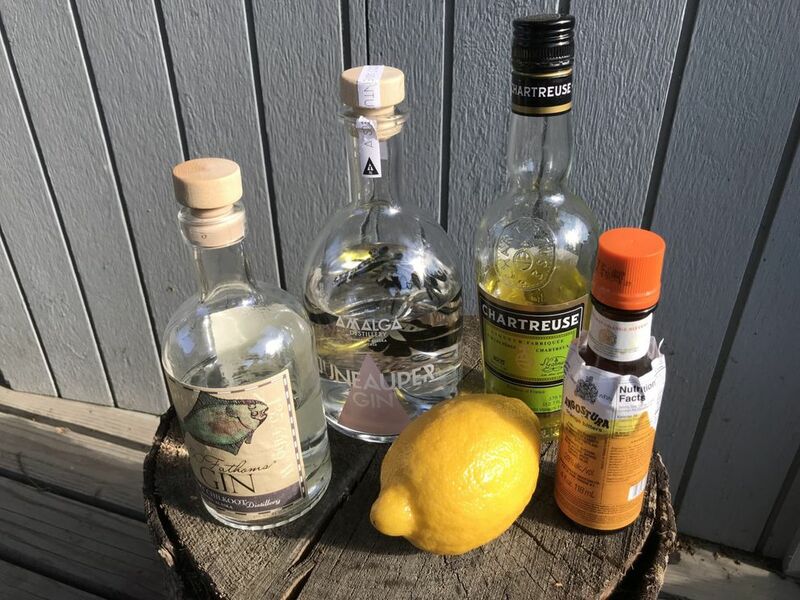 With the help of a willing group of backyard barbecue friends, I have developed two recipes, one drier, more traditional and one (my personal favorite) a little less traditional, sweeter, more golden and herbal. Combine gin, chartreuse and bitters in a shaker over ice. Strain into in a chilled glass. Serve with a lemon twist. Note on ingredients: My motto for cocktail-drinking is "drink less, drink better," as in I like to pay more for really good ingredients and not drink so much that I don't notice how delicious they are. This cocktail fits that ethos exactly. The ingredients for this cocktail aren't cheap. Chartreuse, in particular, is an investment. I found all of my ingredients at La Bodega.